On holiday, it’s nice to mix things up. At our house in Italy, breakfast without a giant jar of Nutella would feel amiss, last year’s trip to Sicily was all about the most perfect figs, tender to the touch and oozing ruby red guts and sugar sweet juice, and on our recent trip to Barcelona, it was all about the bakeries. For a nation that enjoys its food so much, the Spanish aren’t particularly brilliant at breakfast. While the more modern cafés and restaurants have cottoned on to the smoothies, mueslis and cooked breakfasts so commonplace in Britain and America, go anywhere a little more traditional and you’re unlikely to find anything more than cafe con leche and the possibility of a small cake or pastry to accompany it. I suppose the theory is that with so much wonderful food on offer, you don’t want to peak too early. Lunch is a major meal in Spain, often so serious that a siesta is required to sleep it off (although hot weather is also a viable excuse), while supper starts at a late enough hour that you could feasibly still full enough when you first wake up not to want anything especially big for breakfast. Knowing that the breakfast on offer in lots of local cafes might not be the most exciting option, I made a list of bakeries to try before we left for Barcelona. While every other street corner is home to little shops stocked with crusty baguettes, flaky pastries, homemade pizzas, biscuits and the like, a lot of them are actually pre-prepared in industrial lots or made using industrial yeasts and additives. If I was going to indulge in pastry for breakfast, I wanted to know that it had been lovingly made, hand-crafted, and was artisan born and bre(a)d.
It’s hard to go wrong with a croissant for breakfast – flaky pastry layers being the perfect accompaniment to coffee and hand-sliced jamón (Carnivorous Boyfriend’s breakfast of choice) or fruit squeezed to juice before your eyes and plump sweet nectarines (mine), both bought from the incredible Boqueria market. However another breakfast treat which caught my eye was a simple little cake, served plain or scented with citrus, and ubiquitous to almost every bakery in Barcelona; the magdalena. A Spanish take on the French madeleine, magdalenas are baked in mini muffin tins and traditionally eaten at breakfast with cafe con leche. 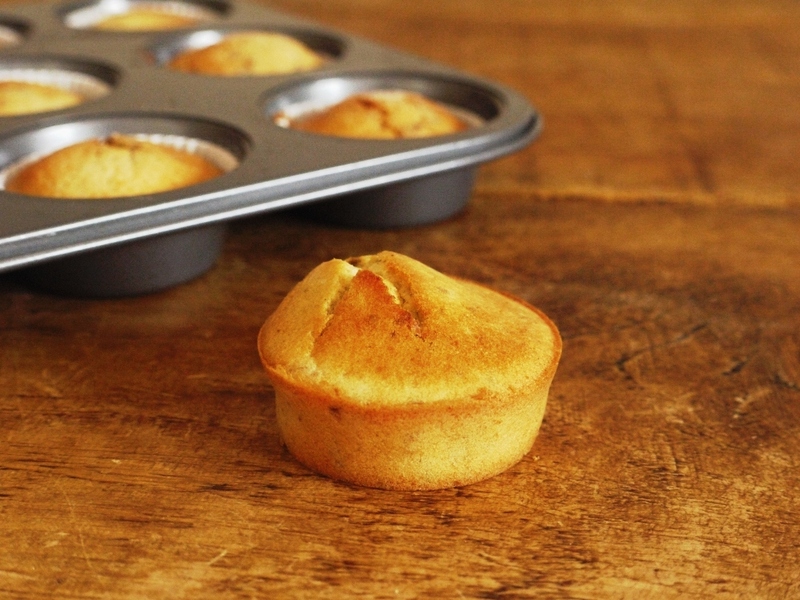 While the appearance is similar to that of a muffin or cupcake, these little Spanish treats have a lighter, spongier texture, with tiny air bubbles in the batter. Olive oil rather than butter is used in the base, again adding to the lightnss, and a scant 50g of sugar divided between 16 magdalenas means that they aren’t overly sweet either. 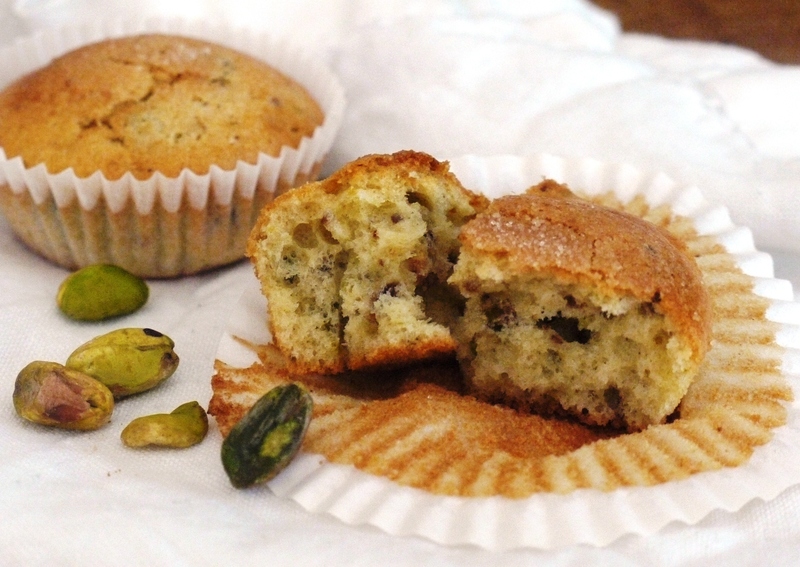 Most of the magdalenas we saw in the bakeries were either plain or lemon flavoured, however doing some research online back in England, I discovered this post which referenced orange zest and toasted pistachios as suitable additions. 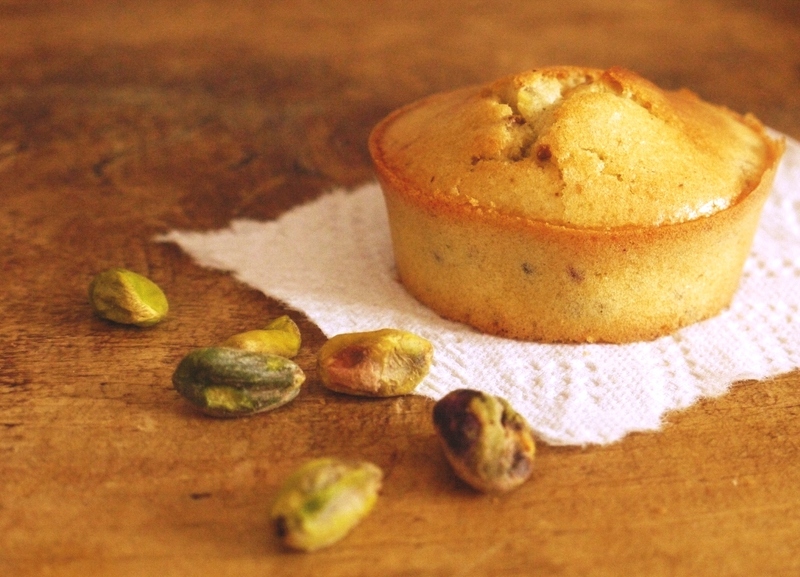 Knowing how delicious this combination can be from my orange and pistachio polenta cake, I decided to give it a go. Simple yet delicious. What more could you want? The result is wonderfully light, bright and melt-in-the-mouth. 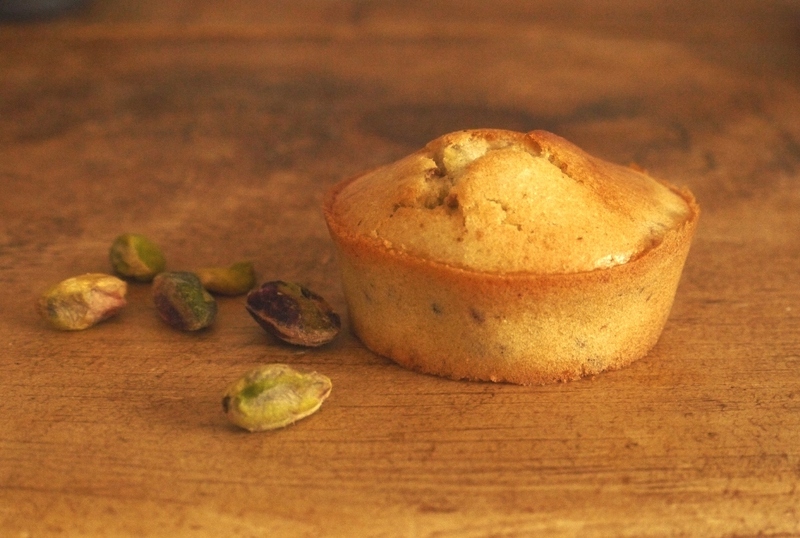 Each tiny cake is slightly crisp on the outside, moist in the middle and packed with citrus punch and the crunch of toasted pistachios against the lovely little air pockets. Eaten alone they make for a very light breakfast, but throw in some fruit, nuts, ham and cheese and you’ve got yourself a very respectable meal. Enough to keep you going til lunchtime anyway. Preheat the oven to 180 degrees C. Line two small muffin trays with paper cases (or you can pour the batter straight into the cups if greased with a little butter). Gently combine the flour, sugar, orange zest, olive oil, egg yolks, milk and orange blossom water in a large bowl. Fold in the chopped pistachios. Fold a spoon of egg white into your liquid batter to loosen it, then carefully fold in the rest of the whipped whites, taking care not to knock too much air out. Pour the batter into the prepared muffin trays, filling each cup about two thirds of the way up. Bake for approx. 15 minutes, or until the tops are puffed and lightly golden. Remove from the oven and allow to cool slightly before tucking in. They look wonderful. Orange and pistachio – yum! Would love one with my morning coffee. I’ve never heard of these but they sound lovely! This post takes me back to my trip to Barcelona many years ago. I always find it weird that they don’t seem bothered about breakfast on the continent, as it’s my favourite meal of they day and I’m always trying out new recipes and stuff…but then I think you’re right that it’s all about saving room for the amazing food at lunch! These look lovely. I love muffiny type things. If I could live on them, I would! These little treats look really delicious though, I love that they use olive oil rather than butter. They look so light and fluffy. A yummy combo; would love to have them with a cup of ginger tea !! These magdalenas look divine! And I’ve never used olive oil in cakes or breads…I will have to try it! I have never had these in Spain but will look out for them when we go there in a few weeks. I love your flavor combination, you always add the perfect little loaf touch! Just gorgeous! I remember purposely waking up later in Barcelona, so I could have tomato bread and jamon for breakfast. If I’d discovered these, it would have been a whole other story. Elly – it’s the same in Italy – even in the nicest hotels breakfast can sometimes be disappointing. But then the rest of the food does more than make up for it! London Bakes – haha, I have absolutely no problem with garlic in the morning, bring it on! ShimmeShine – what a lovely combination. Laura – these cakes are super light and the olive oil adds a lovely flavour as long as you use a fairly mild one. Burlesque Baker – you definitely should! Jaime – they smelled so yummy…and taste so delicious whilst still warm. Lorraine – I know. I’ve always wanted to make madeleines but not had the proper tins – these are the perfect compromise. Tori – thank you 🙂 Pan con tomate is one of my favourite things ever – absolutely perfect for breakfast if you can find it that early! They look wonderful and sound perfect for breakfast! I’ve never heard of magdalenas before, but they look like a delicious way to start the day. I love your orange and pistachio combination! 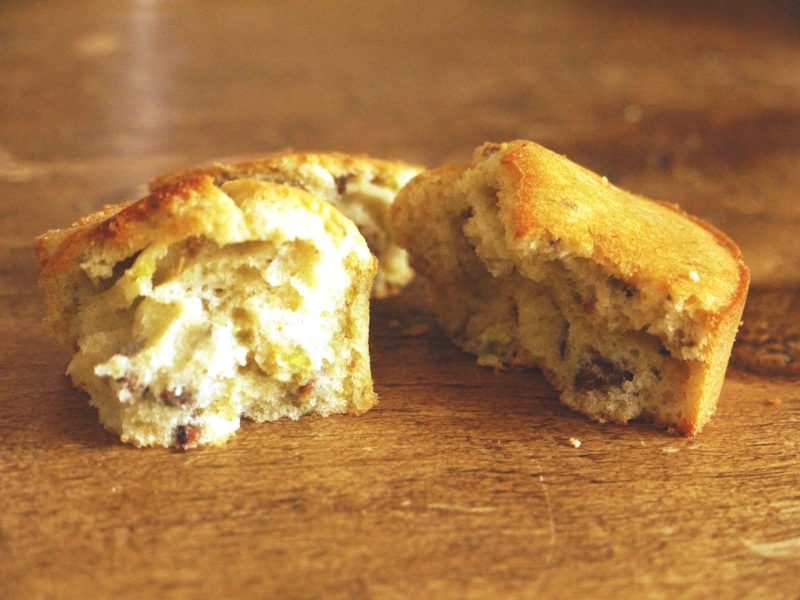 Jennifer – they are lovely and light and the flavour combination is gorgeous. Lisa – definitely do try the magdalenas – very similar to French madeleines, just a different shape. And so small that eating 5 is totally allowed! I love how much information you provide in your posts. When I visited Spain, I was totally disappointed by their breakfast offerings. I could tell, too, that the pastries available were the same everywhere I went. However, I am not sure I saw these! I thank you for introducing me to them. They sound lovely! Kaitlin – it’s a question of finding the right bakeries, I think. Got some Barcelona bakery recommendations coming up in my next post!